At our footcare clinic, we offer a complete range of footcare solutions catered to meet your individual needs. 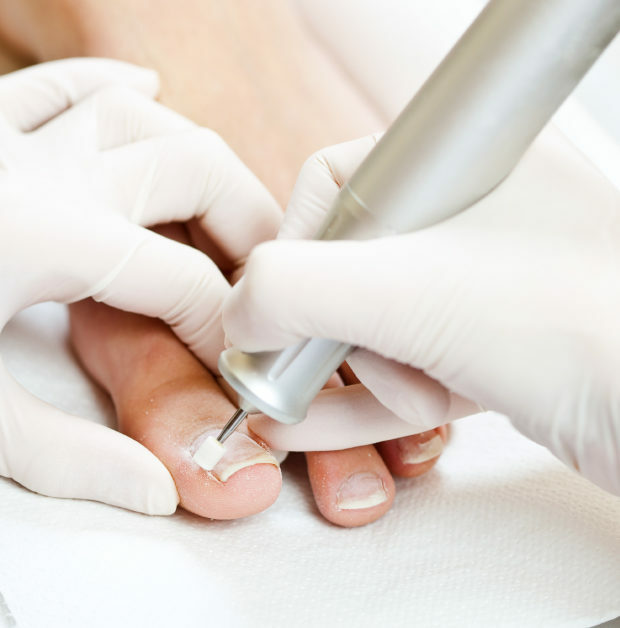 Swift Microwave Verruca Treatment is a new pioneering technology, developed in the UK, which has been licenced for the general treatment of skin lesions in Podiatry and Dermatology. Swift uses microwave energy which is delivered through a special probe applied to the skin to treat the affected tissue. "Julia has a very caring, confident approach. She is thorough, explains if there are any problems. I have total trust and confidence in Julia." "It is nice to have a chat whilst having feet done." "I like the way Julia rings me to remind me of appointments." "Julia is always very considerate to my well being. She goes that extra mile." "Julia is always cheerful and takes interest in her customers." "Julia is very professional and my feet are left feeling silky smooth and pain free." "I have happily recommended Julia to my friends." "Julia is always very informative and anticipates any potential problems." "Never been to a chiropodist before but number one for me!"